Celebrate with style. 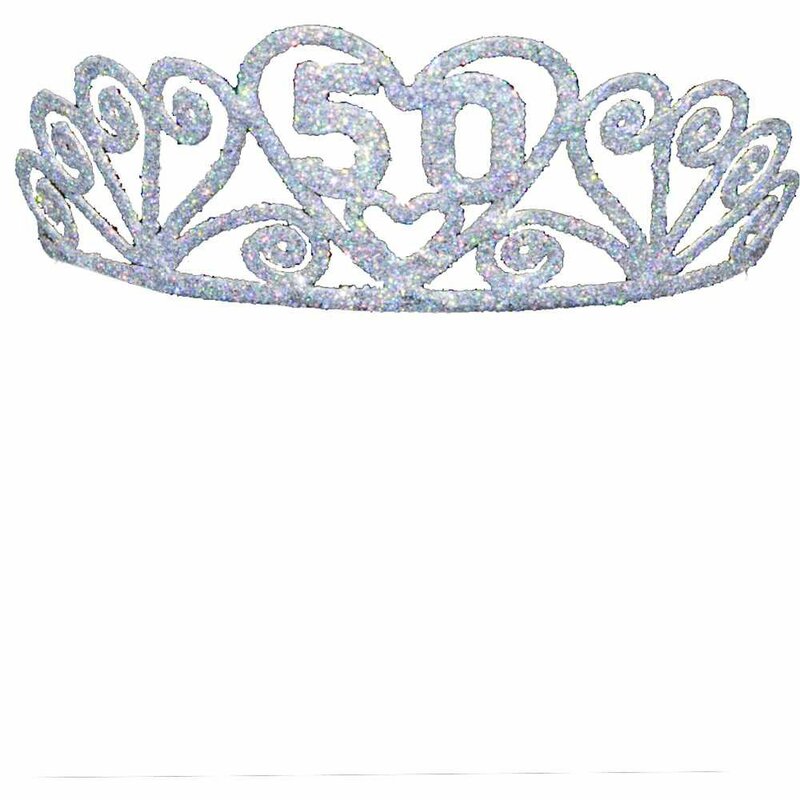 This tiara is perfect for the birthday gal turning 50. It is sturdy silvertone metal tiara with plastic combs to secure to head. The tiara is decorated in silver glitter.